This article originally appeared in the June 25, 2018 issue of SpaceNews magazine. It’s one of the major complaints about cubesats. Most lack any kind of onboard propulsion. Without thrusters, spacecraft operators are often challenged to find a launch that will place their satellites into their desired orbit. More importantly, as concerns grow about orbital debris and the need for space traffic management, cubesats without propulsion have no means to maneuver to avoid collisions or deorbit at the end of their operational lives. 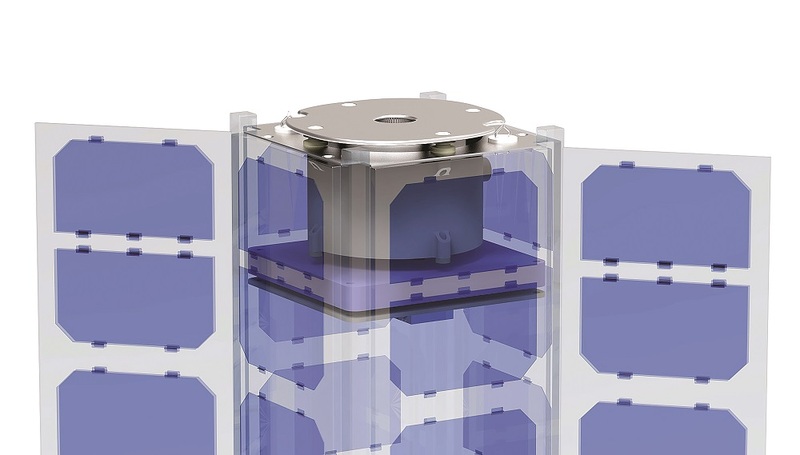 The small size of cubesats presents challenges for adding propulsion. Many conventional thrusters are too bulky and heavy to fit within the size and mass constraints of cubesats. Many cubesats rely on rideshare launch opportunities, which often prohibit or severely restrict the use of propellants like hydrazine or pressurized tanks of any kind. 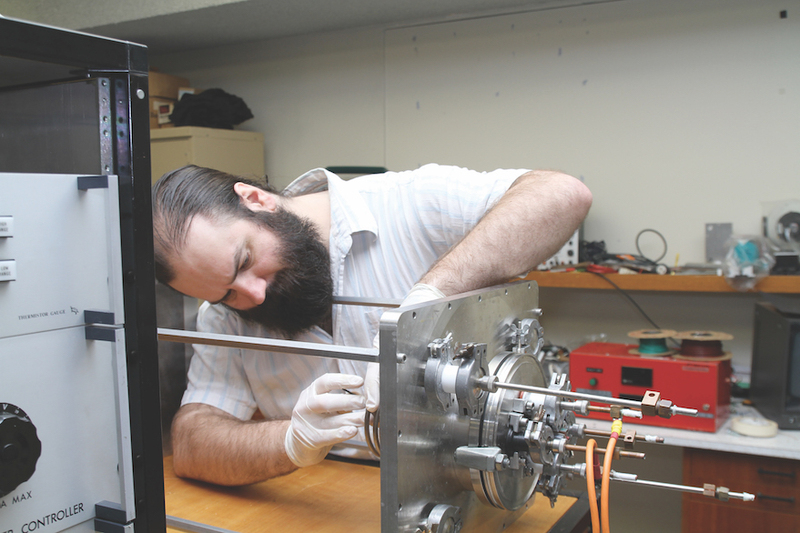 For many cubesats and other small satellites, electric propulsion may offer a solution. New electric thruster systems can increasingly fit into cubesat form factors and cubesat budgets, and without the restrictions of chemical propulsion. A new generation of startups is pursuing such thrusters even as some of them warn of an impending shakeout. One of those startups is Enpulsion, an Austrian company with a U.S. office in Silicon Valley. 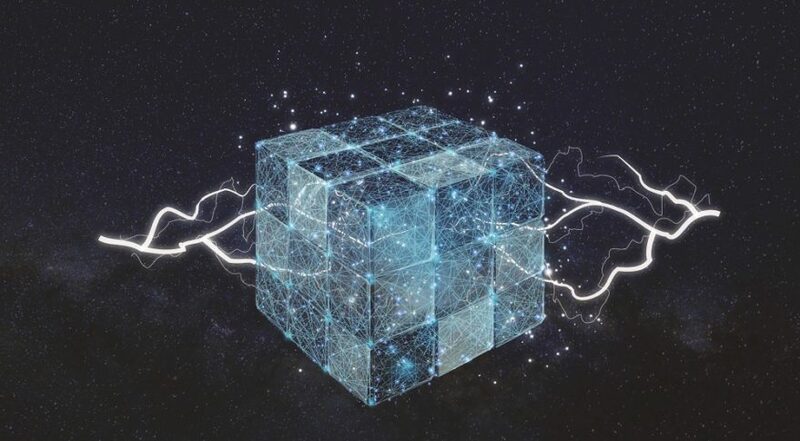 Enpulsion has developed a system it calls field-emission electric propulsion, or FEEP, that can fit into a single-unit cubesat form factor, 10 centimeters on a side. That small size is enabled by the use of liquid metal as the propellant, rather than gases like xenon that have conventionally been used for electric propulsion. Those conventional systems usually require a large high-pressure tank and other bulky components, said Alexander Reissner, chief executive of Enpulsion. The European Space Agency has supported development of the FEEP technology, and Reissner said the company has won contracts with several companies for its thrusters. Enpulsion has the ability now to produce one or two thrusters a week, but a new facility opening this summer will have capacity for building one a day. Reissner said the performance data they’ve collected from that cubesat has been encouraging. The thruster is generating 220 micronewtons of thrust with a specific impulse — a measure of efficiency — of 4,000 seconds. “That is quite significant for such a small propulsion system,” he said. Enpulsion is part of a broader change in the satellite propulsion field. “I believe what we are seeing right now is a reasonably large disruption in the propulsion community,” Reissner said. Among the other companies seeking to disrupt the satellite propulsion market is Phase Four. The startup, based in El Segundo, California, has developed an alternative to Hall Effect thrusters that use radiofrequency waves, rather than electrodes, to generate plasma. 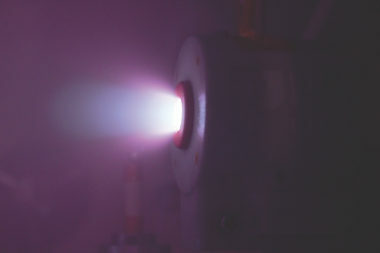 Tests performed by The Aerospace Corporation found that the company’s thrusters had performance similar to Hall Effect thrusters but in a smaller and less expensive package. Phase Four’s thrusters haven’t flown in space yet, but the company has recently secured some orders. In May, the company announced a deal with NASA where the space agency will test the thruster on a future spacecraft mission. A separate contract with Astro Digital includes incorporating Phase Four thrusters on that company’s constellation of remote sensing cubesats as well as on cubesats Astro Digital builds for other companies. The first flight of a Phase Four thruster, Halpern said, will be later this year on an Astro Digital spacecraft. “It’s purely a demo of our ability to build proper flight hardware,” he said of that upcoming mission. Other companies are also developing electric propulsion systems intended for cubesats and other small satellites. British companies Mars Space Ltd. and Clyde Space, in cooperation with Southampton University and supported by the ESA, have built a pulsed plasma thruster that takes up a fraction of a single unit of a cubesat. The thruster has completed ground tests that qualify it for flight. Boston-based Accion Systems is working on electric thrusters that use ionic liquids, commercializing technologies developed at MIT. Accion has a contract with York Space Systems, a smallsat developer, to provide thrusters for that company’s spacecraft. Other companies are looking a little further ahead. Australian company Neumann Space is developing a pulsed cathodic arc thruster. “A pulsed arc works using physics similar to a welding torch,” turning a solid block of material into plasma that generates thrust, said Patrick Neumann, chief scientist and director of the company, during the Space Tech Expo panel. That thruster is still in development, Neumann said, but has the potential to operate at a specific impulse as high as 10,000 seconds, depending on the choice of fuel. He said the company hoped to flight test the thruster in 2020. While many of these companies are designing their thrusters to fit into cubesats, much larger demand may come from other small satellites being developed for broadband megaconstellations. The challenge for startups is that many of those constellation developers are currently making — or have already made — decisions on what propulsion systems they’re using, shutting out startups who are still developing electric thrusters. The growth in smallsat propulsion startups parallels the rise in small launch vehicles being developed to meet the growing demand from such satellites. But just as many industry observers expect oversupply to lead to the failures of some of those launch companies, the same winnowing may be coming to the propulsion market. “There are rather a lot of new propulsion companies coming along with bright new ideas,” said Neumann. Some of those companies, he speculated, would be acquired by larger satellite manufacturers interested in their technologies, while others may “run out of runway” and fail. He added it was too soon to speculate just how many companies will survive.